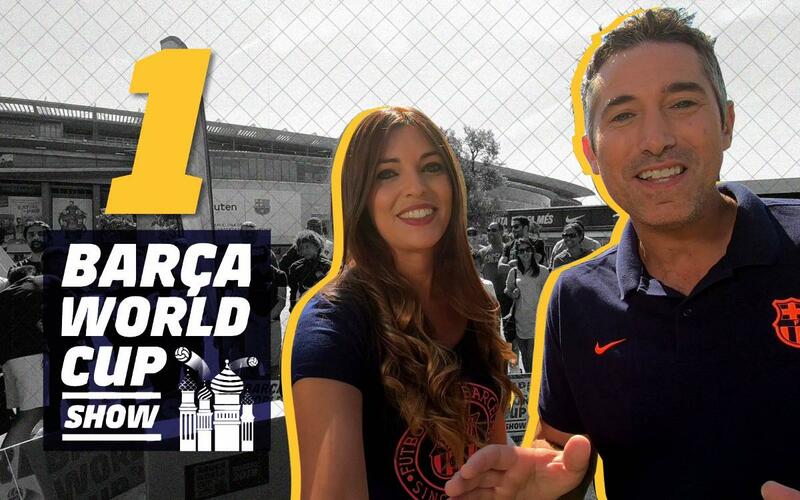 The world premier of The #BarçaWorldCup show! Although the 2018 FIFA World Cup is being held in Russia, Camp Nou in Barcelona is where the real scene is. Less than 48 hours before the tournament's opening match, the surroundings of Europe's biggest stadium are serving as the backdrop to a whole host of World Cup-related activities, including games, predictions, and fan participation to help ring in the prestigious, quadrennial competition. Which team will win the World Cup this year? In order to take a stab at the answer, one must first pass a daunting challenge by juggling a ball of an odd shape or size. Will Germany beat Mexico? Or vice versa? That all depends on who wins a game of foosball played in the middle of Camp Nou's main thoroughfare! It's all part of 15 minutes of fast-paced fun and football, not in Russia, but smack dab in the middle of Barça-ville, at Camp Nou!